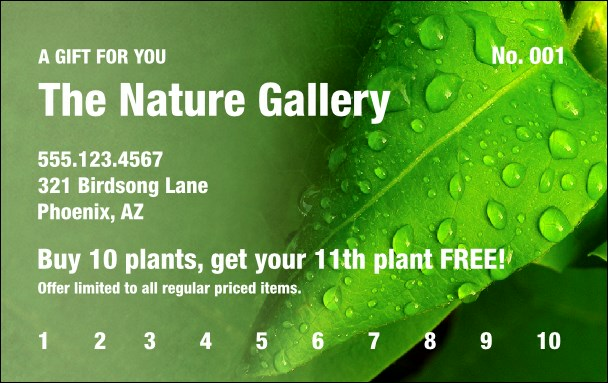 Go green with this Raindrops Leaves Gift Card. An image of beautiful spring green leaves covered with clean morning rain water droplets will surely support any business who is environmentally conscience. This template is fully customizable and great for nurseries, gardening, florists, or outdoor themes. Rest assured when you place an order from TicketPrinting.com.